Offen also a simple application references some other assemblies. In those cases for a deployment all of these assemblies are needed. 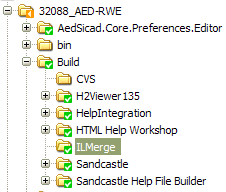 Instead giving the customer a bunch of all, with ILMerge you can bundle all assemblies in one. 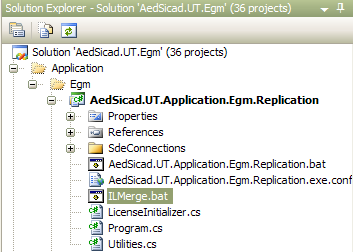 The result is AedSicad.UT.Application.Egm.Replication.exe which contains all referenced assemblies. In this case the log4net assembly and an own wrapper for logging-stuff. This code is returned by VS.Net, trying to execute the post-build event, not by ILMerge. Note the double quotes are only around the path of the batch file and exclude the command line parameter. I have also used the same technique to pass back a offsetting so that I know what timezone the user is in and I can show the dates correctly to users in other timezones if necessary. Really valuable written content. the information that you shown is amazing and many prominently i liked the way you provided things here. Extremely, the concept is real time applicable and as per the current demand of the internet user society. Thanks for providing me this complete solution. I have found this your post because I have been searching for some information about it almost three hours. You helped me a lot indeed and reading this your article I have found many new and useful information about this subject. Thanks for one's marvelous posting! I definitely enjoyed reading it, you will be a great author.I will remember to bookmark your blog and will often come back later on. I want to encourage that you continue your great posts, have a nice morning! Past this in the post-build and you dont need to make a .bat file. I prefer batch files, because this allows me to run this step without visual studio. It gives me more flexibility. This principle grows up with the time. First steps are gone with post-build events too. great post, works as it should work! My solution/Project name is 'AuditTool' and in this I am using log4net. I need to create the application exe that includes log4net. Thank you so much for posting this. I estimate that I have half a day of just trying to figure out a logical solution and another few hours trying to figure out how to use ILMerge effectively. This is a huge help.